Proceeds from Maui Arts & Cultural Center's fundraiser special events -- Maui Calls, Pundy Yokouchi Memorial Golf Tournament, and the Maui Brewers Festival --help support our arts, cultural, community, and educational programs. Share in the spirit of giving with friends at these fun events! 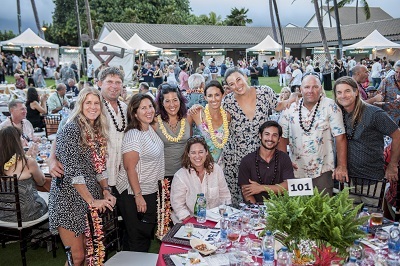 Maui Calls is the MACC's signature gala fundraiser. The themes of the annual benefit event harken back to the nostalgic era of "Boat Days" in Hawai'i. A fresh flower lei greeting and music serenade start you off on an evening where you can mix and mingle with family, friends and colleagues, taste delectable pūpū created by chefs from stellar Maui restaurants, and sample wines from boutique vintners. The silent and live auctions offer the chance to bid on fabulous "Uniquely Maui" items like one-of-a-kind Maui adventures, as well as "Uniquely MACC" items like musical instruments autographed by celebrities who have been on our stages. It's a once-a-year evening to remember always. Mahalo to all who participated in our 2018 event! 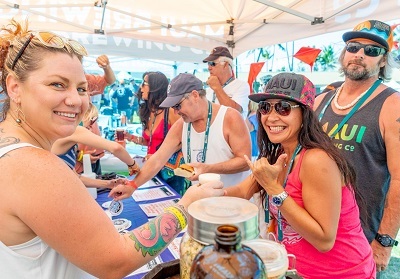 The Maui Brewers Festival is one of Maui's annual Must-Do events, as well as a FUNdraiser! Every ticket includes unlimited island-style foor by local chefs (everything from sliders & stews to popsicles & cookies) and a souvenir glass. There is a wide selection of local and national craft breweries- including beer, cider, kombucha and root beer, with gluten-free and non-alcohol selections. Live music with local musicians, door prizes, and lots of fun round out the afternoon! MAHALO to all who participated in our 10th Annual event! This annual golf tournament held at The Dunes at Maui Lani is a day of good fun with friends, terrific prizes, and a tasty luncheon – all to benefit Maui Arts & Cultural Center's arts and education programs that serve the Maui community.